When you stay at Dream Village in Hersonissos, you'll be in a shopping district, within a 15-minute drive of Star Beach Water Park and Crete Golf Club. 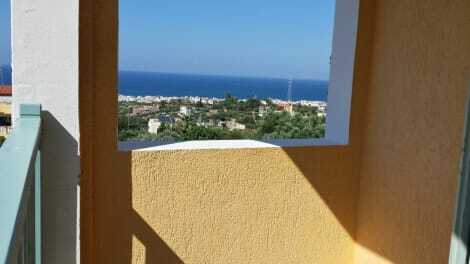 This apartment is 4 mi (6.4 km) from Stalis Beach and 0.8 mi (1.3 km) from Aquaworld Aquarium. Grab lunch at The Snack Bar, a bar that specializes in regional cuisine. Dining is also available at the coffee shop/café, and room service (during limited hours) is provided. Buffet breakfasts are available daily from 8:30 AM to 11:30 AM for a fee. Offering a seasonal outdoor pool, Amazones Sun Studios is situated in Hersonissos.This property is 18 minutes walk from the beach. Aquaworld Aquarium is 1.2 km away. Free WiFi is available and free private parking is available on site. The accommodation comes with a seating area. A toaster and kettle are also provided. Bed linen is offered. Amazones Sun Studios also includes a barbecue. Guests can enjoy a sun terrace and a restaurant on site. You can play table tennis at the property, and bike hire is available. Lixnostatis Folk Museum is 2.4 km from Amazones Sun Studios. Heraklion International Airport is 19 km from the property. Set in Hersonissos, Diamond Village Suites (Adults Only) features free WiFi, a garden and outdoor pool. There is a water park on site and guests can enjoy the on-site restaurant and bar. Featuring a terrace, the accommodation is equipped with a seating area with and laptop. Some units feature a balcony and/or patio with mountain or pool views. Be sure to enjoy recreational amenities including an outdoor tennis court and karaoke. Additional features at this aparthotel include complimentary wireless Internet access and concierge services. Satisfy your appetite at Main restaurant, a restaurant which features a bar and a garden view. Dining is also available at the coffee shop/café. Wrap up your day with a drink at the poolside bar.